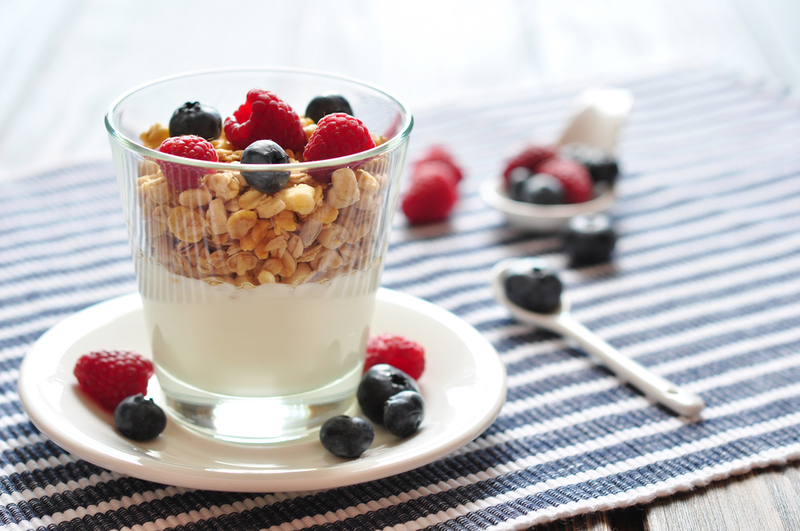 Simple and delicious, yogurt with granola and berries. Instead of berries add bananas, apples, peaches (…) and sprinkle almond flakes on the top. For a more exotic touch, drizzle HoneyBerry Passion Fruit and add diced mangoes. Put 2 tablespoons of yogurt into each glass and smooth surface. Put 2 tablespoons of granola overtop and smooth surface. Put 2 tablespoons of fruit overtop and smooth surface. 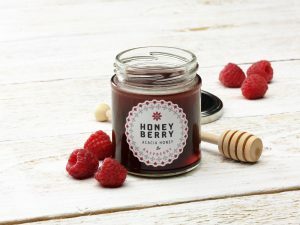 Repeat the process, adding a bit of HoneyBerry Raspberry here and there, more to taste.